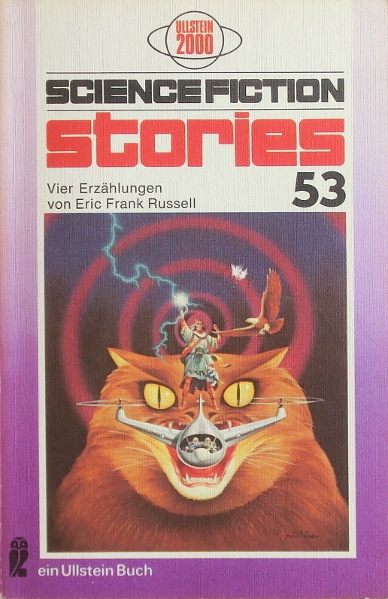 First German edition (not stated), apparent first printing. Translation copyrighted 1975 to publisher, though no translator is credited. "Printed in Germany 1975" is stated on the copyright page. Cover art credited to 'ACE/Roehling', the first of which is a publisher not an artist and the second of which is usually the cover designer; cover art & artist found on various Ace editions of Andre Norton's Lord of Thunder. An undecipherable signature seems to be in lower right corner of cover Image. Last page (127) is not numbered.